Media companies from NCE Media with main office in Bergen, showed off robotic cameras, virtual reality and much more at an event in Amsterdam this week (13-18 September). Members of NCE Media cluster also gave presentations and took part in social activities at the IBC exhibition, Europe’s largest media, entertainment and technology event. Although companies from Bergen have attended IBC before, this is the first time that NCE Media has had its own stand. This gave smaller firms in the cluster a chance to rub shoulders with the exhibition’s 57,000 other guests, coming from more than 170 countries across the world. The NCE Media first ever stand at IBC. The NCE Media stand was officially opened by Special Adviser for Clusters Kristianne Paasche in Innovation Norway. 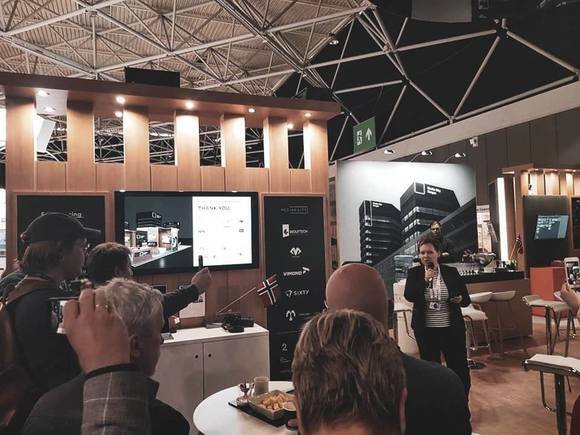 Companies from Bergen and from other parts of Norway such as Vizrt, Vimond Media, Wolftech, Sixty, Mediability, Myreze, Rainfall and The Motion Corporation were present, and showed off a range of innovative technology. Anne Jacobsen in NCE Media talking to the IBC audience. 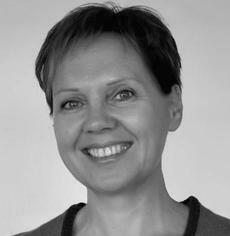 Anne Jacobsen, from NCE Media, said: “IBC is a really important arena for the media cluster. Here, we can introduce the whole world to the ground‑breaking solutions that are being developed in Bergen. 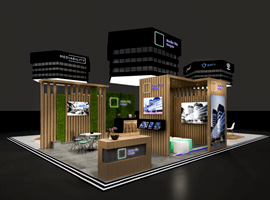 “The media cluster is a world leader in areas such as visualization, augmented/virtual reality (AR/VR), and other media technologies, and at IBC we’re showing off the latest advances in these areas – solutions, possibilities and technologies that have never before been seen. “We’ve dreamed for many years about securing a bigger presence at IBC for more of our companies. For this reason, we’re now gathering many of the cluster’s firms at our large, shared Media City Bergen Pavilion. The IBC is one of Europe’s biggest media and entertainment industry gatherings, and takes place annually in September at Amsterdam’s RAI Exhibition and Convention Centre. 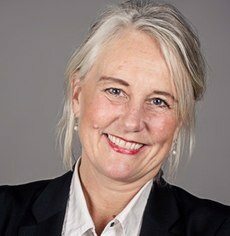 NCE Media is a business cluster that includes several large media companies, as well as smaller and innovative media firms, together with public institutions and research bodies such as the University of Bergen and the Norwegian School of Economics. The cluster is based in the newly‑established Media City Bergen building – a collaborative space where Bergen’s media companies can work together and develop new and exciting technology.